Camping with a young family is a wonderful experience and we definitely recommend that you get outdoors and give it a try. But there is no denying that it can be a challenging experience. 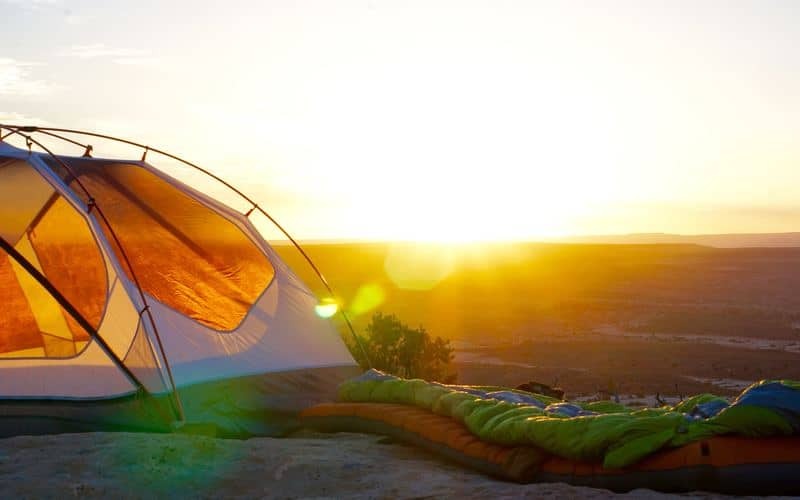 This post is full of practical camping tips that will make your trip go smoothly, and we hope that our camping with toddlers checklist will help you to be better prepared for your time sleeping under the stars so that you can enjoy the experience to the full. 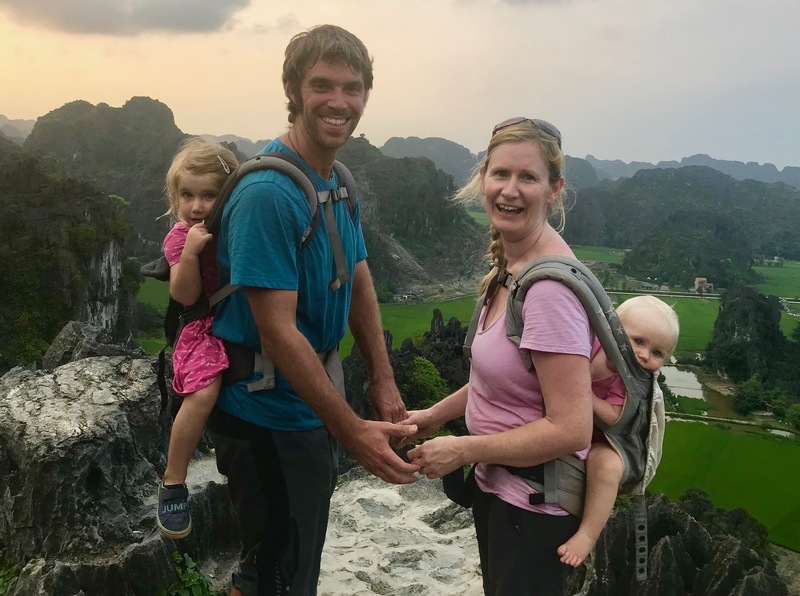 When you go camping with a baby or toddler for the first time, you are taking your little ones away from the familiarity and safety of their home environment and bringing them to a new and exciting place. You will often arrive there late in the day and then expect them to go to sleep. If your kids are anything like ours they will be running and jumping around with excitement. It’s great to see your children happy and hopefully, that excitement will last for the whole camping trip – but just not so much at bedtime. 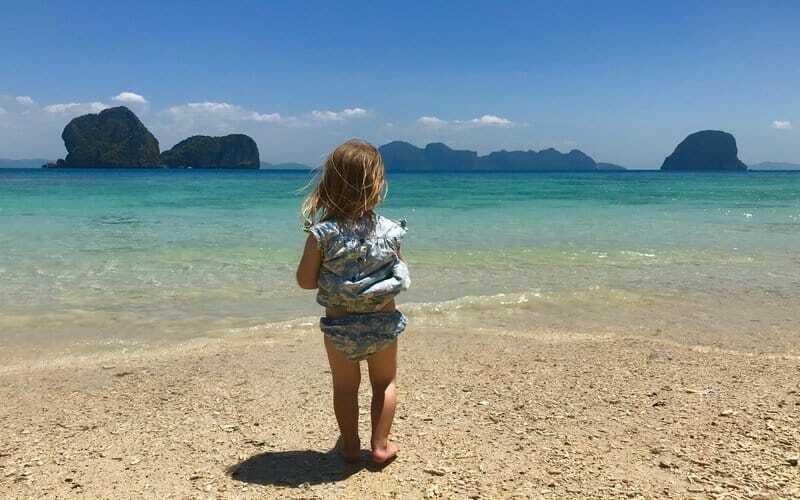 We think that getting your toddler to sleep well is pretty much the key to having a happy child and enjoyable break, but this can be a challenge in a camping environment. It could well be noisy with unusual sounds all around, it may well also be light late into the evening, and you are likely to have to deal with extremes of temperature that plummet overnight before your tent heats up like an oven the following morning. There are a few little things that you can do to help ensure that everyone gets a good night’s sleep and enjoys their camping experience. If it is your first family camping trip it is a good idea to introduce the concept of camping to your children before you go, this episode of Peppa Pig is a good place to start, as is this Maisy book. Packing a tent in an obvious one for any camping checklist but it is worth giving some thought to the design and materials of your tent to ensure that it meets your needs. You will know what works best for your family but we think that a tent design with two adjacent bedrooms works best when camping with toddlers. This will allow you to separate your sleeping quarters if desired but will also allow you to all sleep together if that works better for you. Tents with bedrooms at opposite ends with the living space in the middle may become more of a squeeze should your toddlers not enjoy having their own bedroom at the other end of the tent. The other key feature is to have a really big porch that can be used as a living space to play in when the weather is not so good. Other things to consider are, the time it takes to put the tent up, breathability and waterproofing of the materials and the overall size. This tent was one of our favourites in our recent review post. Looking for a new tent? If you are tent camping in the summer you will have to cope with only having a few hours of darkness. This could well prove to be a problem when trying to convince your toddler that it is in fact bedtime. On our first family camping trip we couldn’t understand why tents weren’t made using darker materials that would blackout some of the daylight, we thought we had found our Dragons Den moment, but someone beat us to it. The good news is that you can now get tents with blackout compartments and that is one of the reasons that the Coleman Valdes 6 is one of our favourite tents. This is a truly great innovation and blocks out 99% of daylight to help you create a better sleeping environment for longer more restful sleep. The blackouts have the extra benefit that they can keep the tent up to 5 degrees cooler in the day and 1 degree warmer at night. Even on a balmy summers day, it can get surprisingly cold at night if the skies are clear (remember to look at the stars). 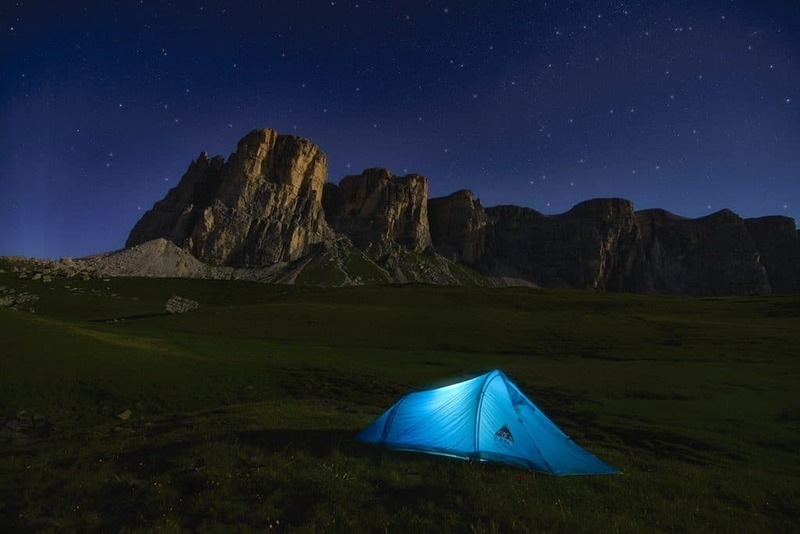 If you have invested in a blackout tent it will help you to stay warm at night but the most important things to remember are a good sleeping bag and air mattress. The majority of sleeping bags aimed at toddlers are designed more for occasional sleepovers with friends and relatives, rather than a potentially cold night in the tent. There are some that provide a bit more warmth but given that children grow quickly we just use an adult sleeping bag for our 3-year-old. If it gets really cold you should tie the bottom end off as excess air in the bag will reduce the warmth of the bag. You can choose between down and synthetic sleeping bags with both having their own advantages and disadvantages, although down bags are generally considered to be the warmest. Please check out our best sleeping bags 2018 review for a detailed look at our favourite sleeping bags. 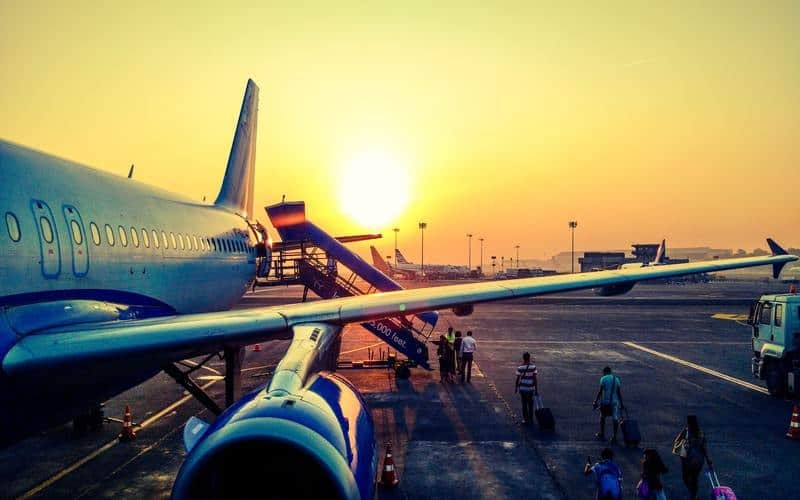 Air mattresses provide both warmth and comfort so are essential to remember when you are packing. Foam mattresses might be ok if you are hiking with all of your kit but they just don’t provide the same level of comfort or insulate as well from the cold floor. We have a few self-inflating mattresses, many people prefer a full on air bed which I am sure would double well as a bouncy castle. I am sure that we have all had the experience of waking early in a tent as the temperature goes through the roof. You are caught between the desire to sleep some more and the need to escape to somewhere cooler. A blackout tent should prove its worth once again in this situation with a significant 5-degree cooling effect. Regardless of what tent you have, you will need to make full use of the vents and mesh windows to maximise the airflow through the tent. Unfortunately, you may find that the sound of the zips wakes your little ones even if the excessive heat hasn’t. The key to keeping a tent cool is to find shade, but this is often difficult on open campsites that lack the natural shade provided by trees. One useful tip is to cover your tent with a blanket, this is surprisingly effective at keeping the tent cooler in the sunshine. Your blanket can then double up as a picnic blanket, useful to put outside your tent as a place to sit, play and relax, and also to take with you for lunch on the beach, hill or wherever you fancy. If you are camping somewhere very warm you may want to consider getting a battery operated fan or even a portable air con unit for extended trips on sites with electricity. You might well be sat in your tent listening to the rain and wishing it was sunny enough to heat up your tent. 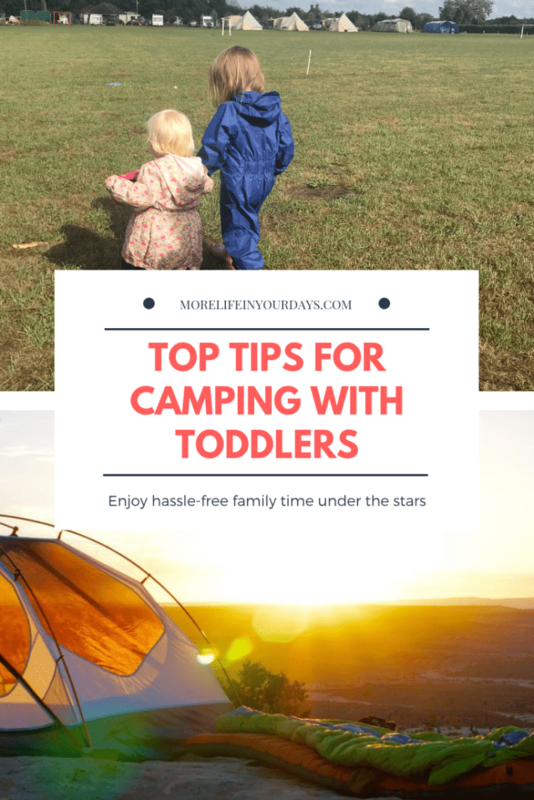 Let’s not pretend that camping trips will always be blessed with perfect sunny weather, and rain can really put a dampener on the camping experience, especially with toddlers in tow. Along with all the usual waterproof clothing, wellies and umbrellas, you may find it useful to take a mat with you to help reduce the amount of mud and wet grass that finds its way into your tent. Storybooks, activity books and a toddler tablet will come into their own on rainy days and you could set up your table up as a crafts area. 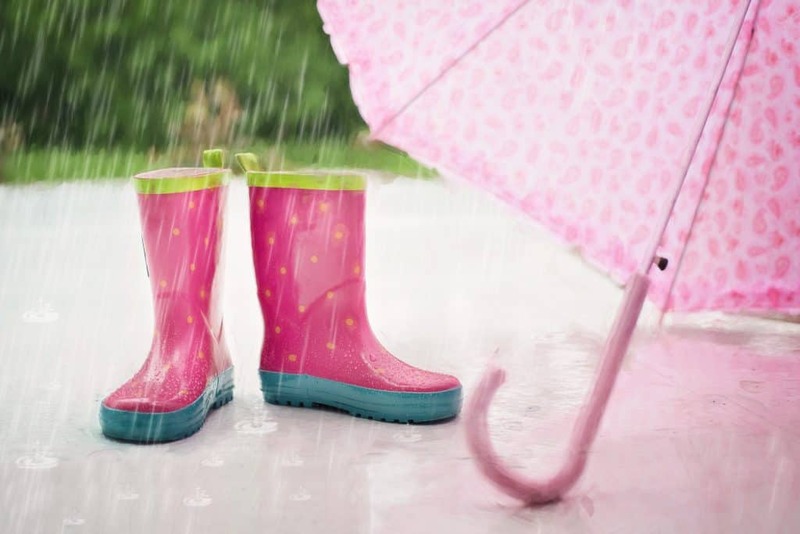 Ultimately you will want to get kitted up and brave the weather, I’m sure that your children will love jumping up and down in muddy puddles! 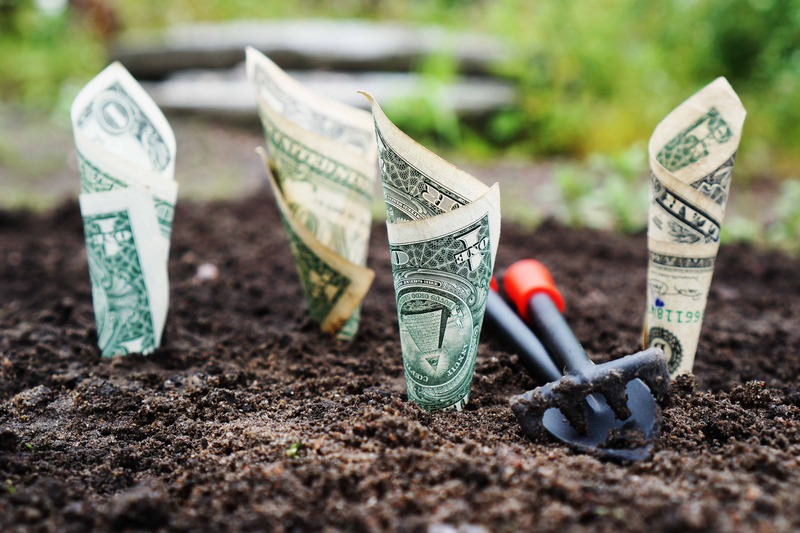 Check out this post for some great ideas for fun activities for kids. Eating outdoors is great fun for kids and toddlers but it does throw up a few challenges for the parents. Preparing camping meals involves having a camp kitchen with flaming stoves, knives and messy ingredients in an area where your children are playing. For this reason, we recommend taking a table to create a safer space to prepare the meal. A table seemed a bit unnecessary for camping pre-kids, but we now feel that it is an essential item to squeeze into the car (we always go car camping now we have toddlers). We have a folding camping table that comes complete with little stools. We use our table for cooking on and can’t fit high chairs in the car so improvise an eating arrangement using stools as tables, this works well with the toddler camping chairs but isn’t the most stable arrangement. We have learned that it is possible to buy foldable camping high chairs which could be worth it for younger children. You could also try a totseat chair harness which can be put on almost any chair to keep young ones in place. We used it a lot on our travels to Thailand where finding a normal baby high chair was a rare treat. Our girls loved having their own kids camping chairs with fun animal designs. That is until some other children arrived with differently designed chairs that they suddenly thought were better. If you are looking for inspiration for camp meals, check out these meal ideas. 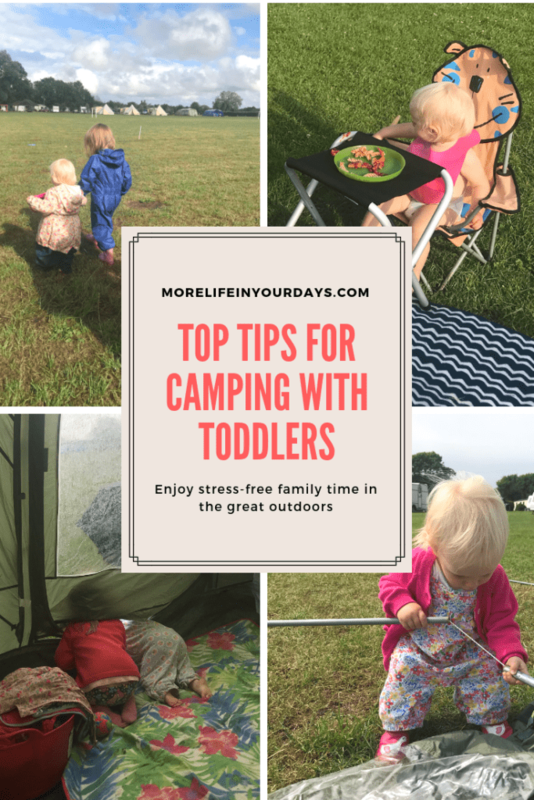 Camping with Toddlers Sleeping – What’s That Noise? ‘What’s that noise’ is a question you may get tired of hearing after a night in the tent, possibly in combination with cries of ‘it’s too noisy’. Whether it is the sound of an owl, the rain on the tent, or other campers, the campsite will have more and different sounds than your toddler is used to. It is hard to deal with the noise from other campers since there is just a thin strip of canvas between you and the rest of the campsite. 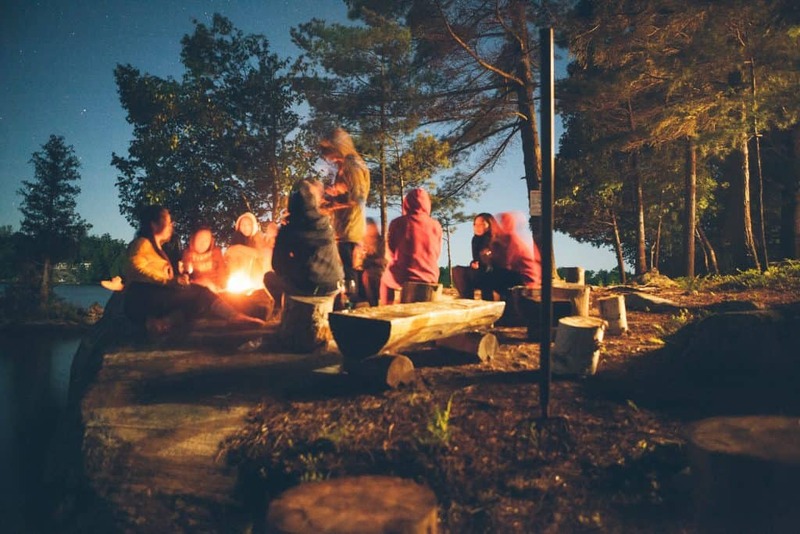 It is important to make sure that you choose your campsite wisely and choose one that is likely to be shared with other families and couples rather than groups singing ‘Livin’ on a Prayer’ around the campfire. For inspiration on camping in the UK, please see this blog of our favourite campsites. We have some baby ear defenders that come in useful in lots of situations, including when flying, but it may be hard to get your toddler to wear them in bed. We have also tried playing soothing music quietly to give a more constant background noise rather than the more random and interesting sounds of the campsite and this has worked well. One thing you might like to try is doing a trial run camping in your garden before going away. This will give you a chance to see how well you all get on sleeping under the stars before you commit to going away. When you are camping with young kids you will inevitably have lots of stuff in a small space. One thing that we have found really helpful is to try and be a bit organised to keep things out of reach of your toddlers. We take plastic storage containers with lids on all our camping trips. We can use these to keep the tent a bit tidier and to ensure that potentially messy or dangerous things like meal ingredients and knives can be kept away from inquisitive toddlers. These can then be kept in the tent or easily packed away in the car if required. It is incredibly easy to lose things in a tent so make full use of internal pockets to keep things in reach (and out of reach of young hands). We have used pockets for car keys, sunglasses, nappies and wipes etc. We aren’t that naturally organised so there are still times we have to rummage around the sleeping bags to find car keys or glasses, but when we remember, it works great! Another useful item to take is a large tub that can be used for washing up and also to bathe your little ones. Ours aren’t too keen on showers and the showers aren’t always the nicest at a campsite, so a nice warm bath in a tub is both fun for your children and a good way to get them clean. Torch, binoculars, books, activity books, toys, kite, potty, baby wipes, hand sanitizer, first aid kit, hot chocolate, clothes for all weather, non-spill cups/bottles for in the tent, baby carrier. Camping stove, more stove fuel than you think you will need, pots, pans, cups, cutlery, plastic plates washing up stuff, freezer blocks, toilet paper, glow sticks (just for fun), water carrier, picnic blankets, plastic containers with lids, tub for bathing/washing up. We have created a comprehensive printable camping with toddlers checklist of all the camping equipment that we think are either essential items or useful to take. We would love to share this with you instantly, just let us know where to send it. 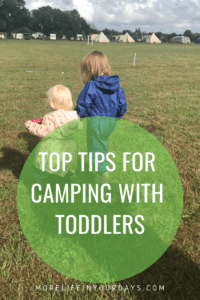 We hope that you have enjoyed reading our guide to camping with a toddler and have found it useful. Do you have any plans to go camping with a little one? Or have you been camping lately? Please let us know below, we would love to hear your stories. *GASP* I didn’t even know blackout tents were a thing! I moved to Norway a few years ago and have just avoided camping since I got here. It’s a crying same because it’s a heart-achingly beautiful country but I knew (because of the mid-night sun) that my daughter would NEVER, EVER sleep in a tent. At home blackout curtains are the only thing that spares us from an insane toddler that stays awake the entire Summer…and now I can get a whole blackout tent!! Thanks!! I know, it is a revelation to have blackout tents! I just cant understand why they werent invented sooner. A camping trip with over-tired children is no fun at all. I hope that you can enjoy the beautiful Norwegian scenery now.